Bandai Namco has released a new teaser trailer featuring Photo Mode in One Piece: World Seeker, an action-adventure game based on the manga and anime series One Piece. 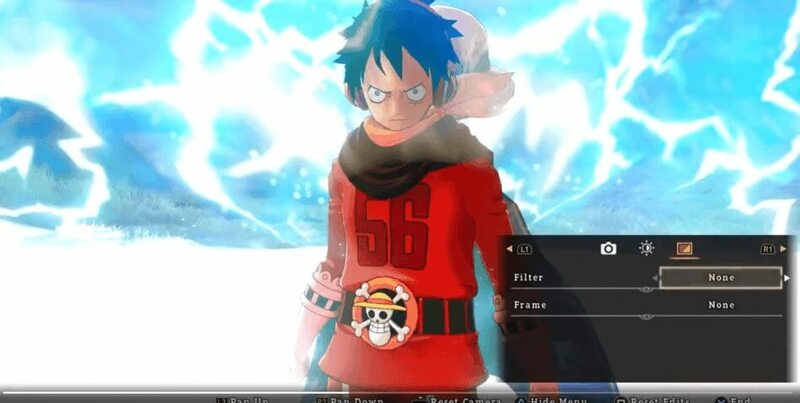 The teaser is 32 second long and shows some of the photo mode setting that you can use to tweak the photo. This feature will be added with the free update which is coming in April. "Set sail on an all-new ONE PIECE adventure in ONE PIECE World Seeker! Luffy and the Straw Hat Pirates are back in a new story that puts players’ into Luffy’s point of view, as he battles and explores an expansive and seamless world. Open landscapes provide many paths for players to experience Luffy’s gum-gum abilities and swing into action. - Experience an epic new story from Luffy’s point of view with all of his gum-gum abilities at your disposal "
One Piece World Seeker is now available for PlayStation 4, Xbox One, PC.